What Is the Average Price of a Toyo Open Country Tire? There are many different versions of the Toyo Open Country tire, and when buying from TreadDepot.com, the tires range from $115 to $494 each, as of 2015. When buying from DiscountedWheelWarehouse.com, the Toyo Open Country tires range from about $102 to $231. DiscountedWheelWarehouse.com offers Toyo tires from most classes, including passenger vehicles and sport utility vehicles. When buying Toyo tires, the buyer receives a limited warranty of 65,000 miles on all P-metric tire sizes and a 50,000-mile warranty on all LT tire sizes. The Open Country tire has a reputation for being aggressive, having a tough appearance and a quiet ride. This tire also offers an excellent grip on the road. Where Are Toyo Tires Made? What Information Will I Need Before Buying Tires on EBay or Craigslist? Where Can You Find Some Good Falken Tire Reviews? How Can You Get a Good Price for a Costco Tire? How Long Can You Drive on a Spare Tire? What Are Some Signs That a Car Needs a Wheel Alignment? What Is the Fastest Four-Tire-Change Pit Stop in NASCAR? 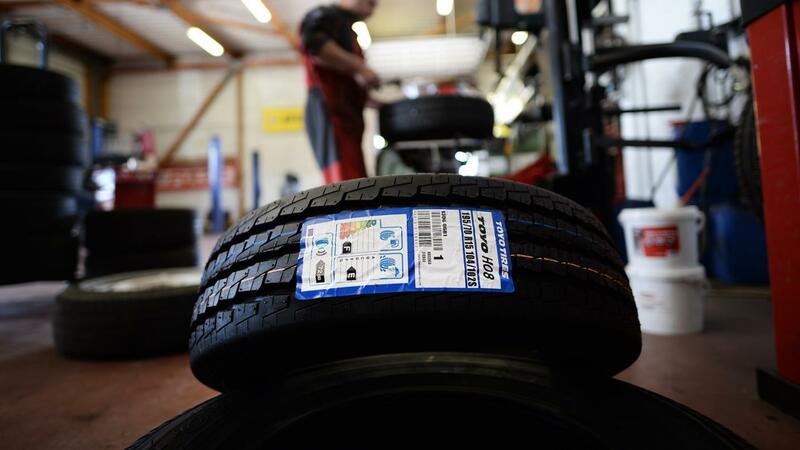 What Is the Best Time of Year to Buy Tires? Why Do Car Tires Squeal? How Do You Dispose of Tires for Free? What Are Some American-Owned Tire Companies?